We have a wide range of skills and experience in civil engineering works for many types of civil construction including: Building platforms, Hard landscaping works, Foundations. 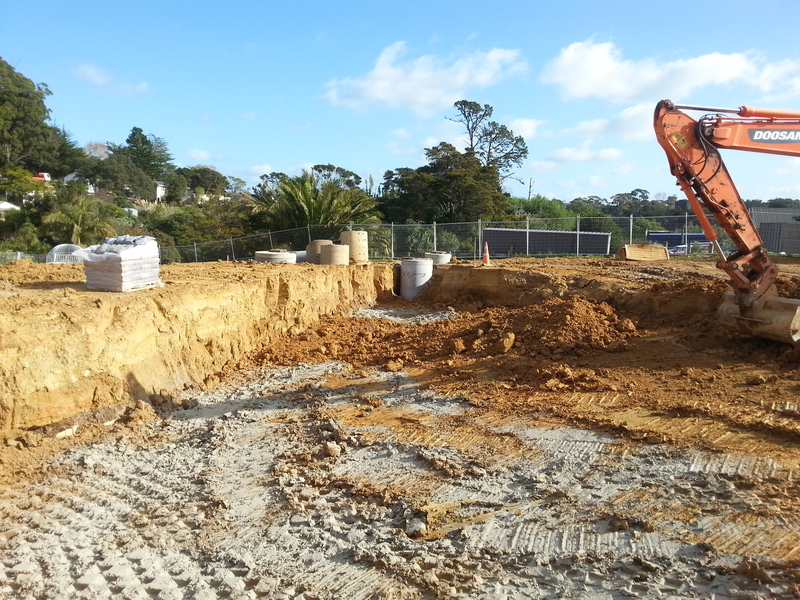 Our previous civil works have supported the construction of: Factories, High rise commercial offices and residential apartments, Retaining walls rock excavations, supermarkets and petrol stations. We have large capacity rock breakers for tough and deep jobs. We take care when breaking, considering factors such as - time of day - dust nuisance and - noise. Our large capacity enables jobs to be completed quicker, reducing the time that nearby occupants and workers are disrupted. 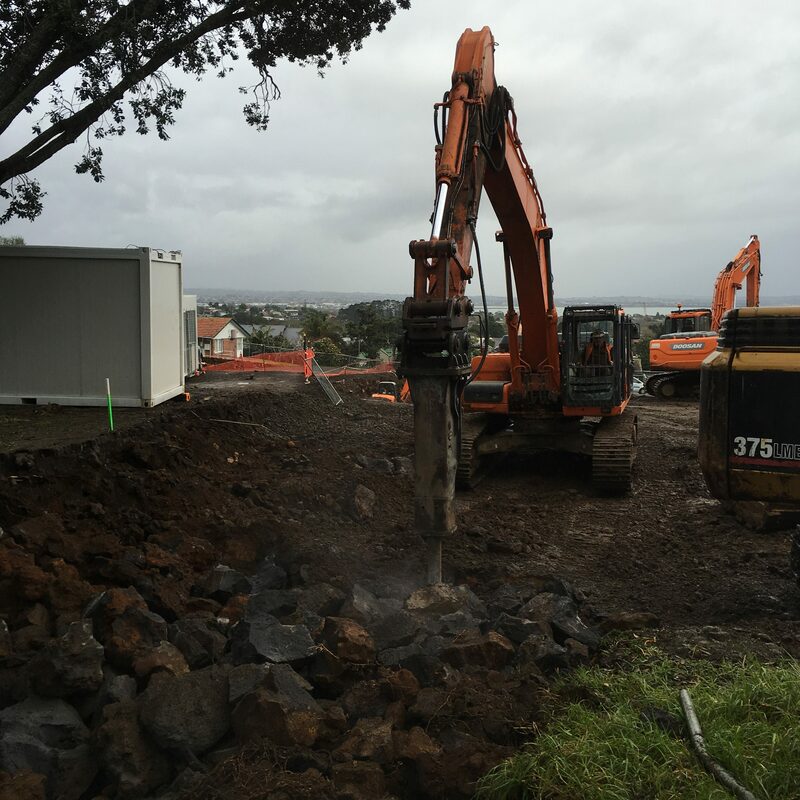 Our breakers are suitable for basalt, blue metal, volcanic lava formations and other hard rock types found in the Auckland region. Our fully qualified and registered drain-layers are skilled in many aspects of pipework. We work to New Zealands' common standards. Legislation covering our works is the Plumbers, Gasfitters and Drainlayers Act 1976. 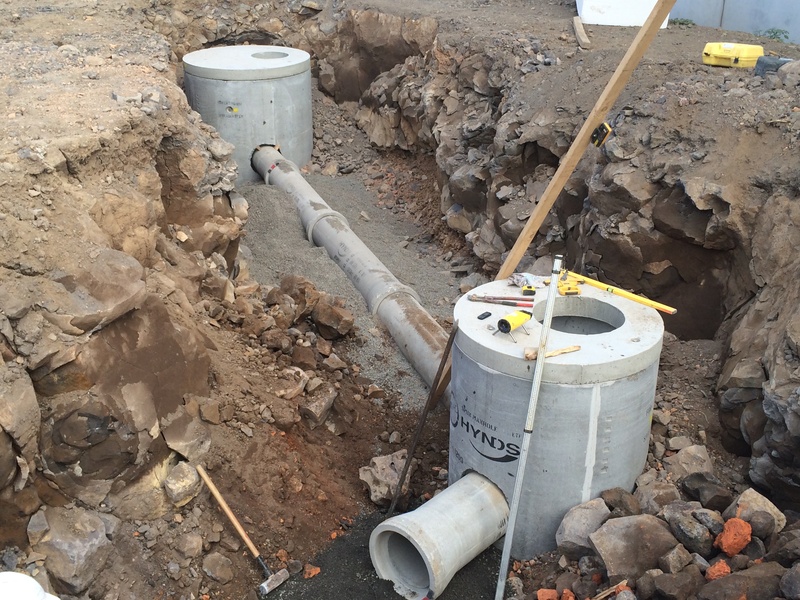 Earthtec can help you with all of your drainage, civil works, siteworks, excavation and rock crushing needs. Earthtec Siteworks, Crane Operations, Rock Crushing and Breaking are second to none. Earthtec can offer for hire its 60 tonne P7H 600A mobile crane, two Favco 750 STD Tower Cranes and a M310D Favco Tower Crane. 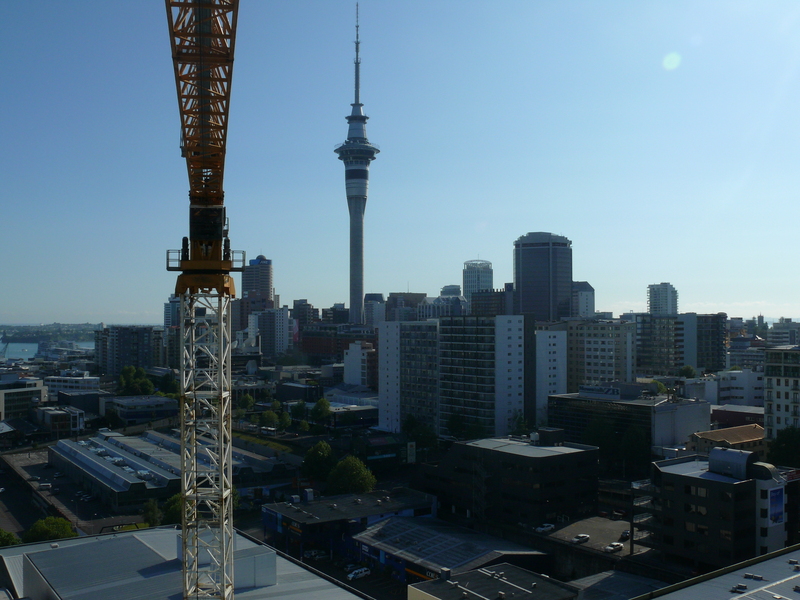 The Tower Cranes operate at heights suitable for most construction projects. We can offer full or dry hire options including crane operators and dogmen. Earthtec's Rock Crushing plant is a powerful primary jaw type rock crusher. 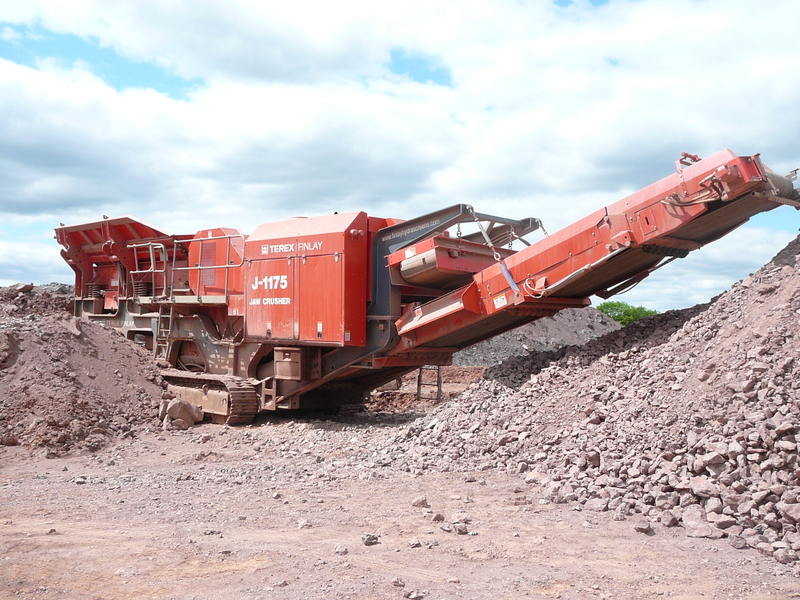 It produces a high volume output of a wide range of aggregates. In order to produce pure ground rock we have the magnetic separator option to remove metal contaminants. Where needed Earthtec is able to supply supporting diggers and loaders to enable the completion of civil engineering and siteworks. We have a full team of siteworks operators and a wide range of equipment to undertake building and construction site works. 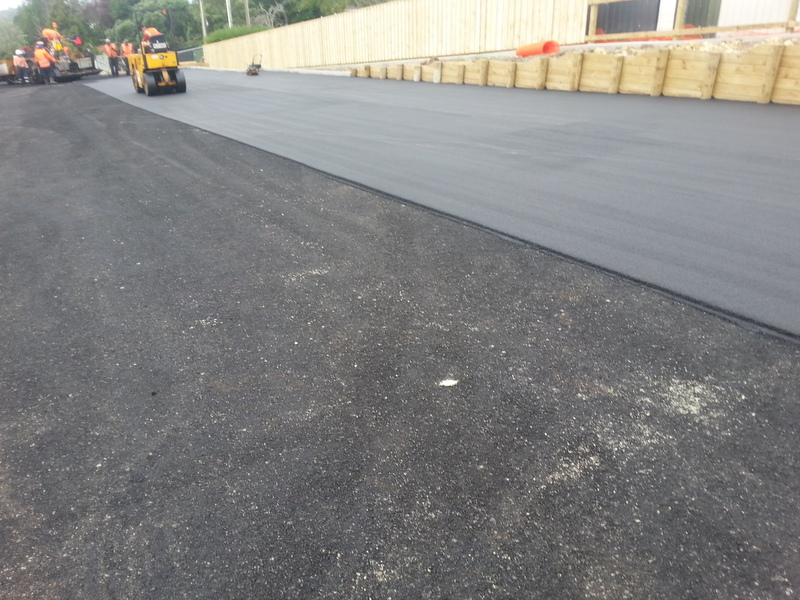 Our skills include: Earthmoving, Drainage, Car park Paving, Kerbing, Rain Gardens Retaining walls, Levelling, Compaction and more. Our fleet of diggers with experienced, skilled operators can undertake a wide range of excavation tasks. 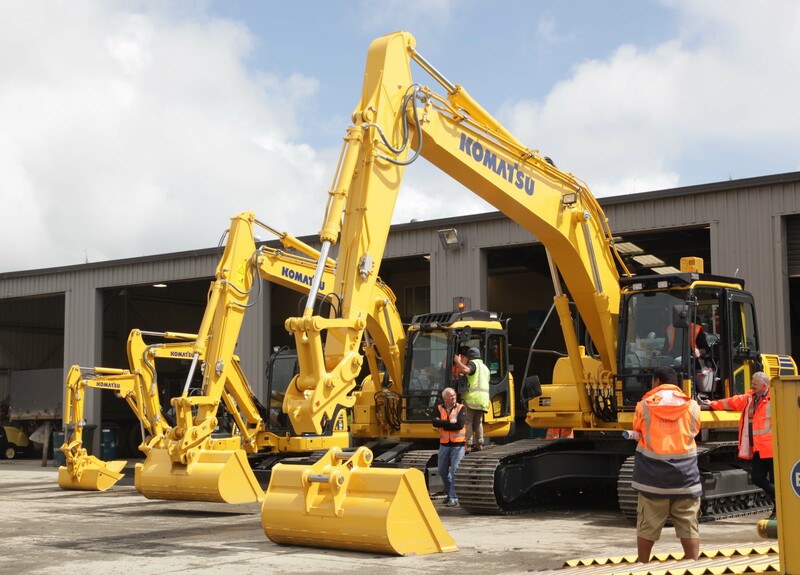 We have machines that can excavate anywhere from 2 tonnes to 75 tonnes, with multiple units in each class to provide wide reach, flexibility and capacity. We have a lot of attachments for specialist tasks ranging from large flail mulchers to rock breakers. We also have a wide range of support equipment to keep your site programmes on schedule and our diggers working including tip trucks, 12 tonne transport trailers and support vehicle.